for $399,000 with 3 bedrooms and 2 full baths. This 1,152 square foot home was built in 1979 on a lot size of 50 X 107.23. This 3 bedroom 2 bath Coastal gem is located at the end of Palimino, tucked away on a quiet dead end street. Since the storm, Home has undergone extensive remodeling and designer upgrades. The hard work is complete and ready for your finishing touches. 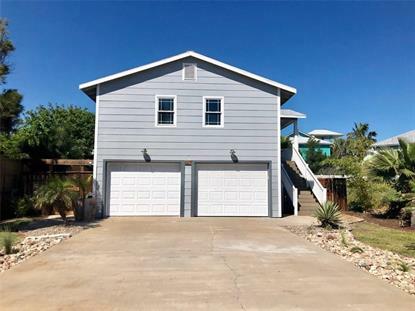 Home was taken down to the studs, all new electrical, plumbing , A/C ductwork, and sheetrock were installed, New flooring throughout, new fixtures, recessed lighting, modern light fixtures, new doors and garage doors. Kitchen designed with an open living concept with Shaker style cabinets and a breakfast bar, giving it a bright open look. Even has Coastal landscaping, 1100 sq ft garage and great yard space! Palimino is located off 11th st. & zoned for short term rentals, so this could be your opportunity to own a great rental investment, your beach get-a-way or even full time residence. It's close to everything Port A has to offer AND walking distance to the beach. You don't want to miss out on this chance to own this perfect beach home! The data relating to real estate for sale on this web site comes in part from the Internet Data Exchange Program of the Cullman Association of Realtors. Real Estate listings held by brokerage firms (licensees) other than Weichert Realtors include the name of the listing brokers.